Results of a 1995 survey conducted by the American Nurses Association indicated that nurses considered stress to be their number one occupational hazard. The nursing literature is replete with opinion articles on factors in the work setting that make situations conductive to stress for nurses; however, few articles report research results. It was during the 1970s that nurse researchers as well as sociologists and psychologists became interested in studying job stress for nurses. Early research on job stress for nurses centered on the disruptive effects of changing shifts on circadian rhythms and subjective sense of well-being. In large measure as a result of research on the effects of frequent shift changes, the practice of changing shifts more frequently than every 2 weeks ceased during the 1980s. Research to identify other factors that contributed to job stress focused on intensive care nurses, neonatal intensive care nurses, and hospice nurses. ducted by Gray-Toft and Anderson (1981). They developed a measure of stress for nurses called the Nursing Stress Scale (NSS). The commonly used NSS contains 34 potentially stressful events divided into seven categories: death and dying, workload, uncertainty concerning treatment, conflict with physicians, conflict with other nurses, lack of staff support, and inadequate preparation to deal with emotional needs of patients. In 1983, Jacobson and McGraw published Nurses Under Stress, which included a summary of their research on stress experienced by neonatal intensive care nurses as well as the work of other nurse researchers on stress experienced by nurses. During the 1980s through early 2004, much of the research on nurses and stress has been as conducted by nurse researchers in European and Asian countries. Among the studies focused on nurses and stress there have been consistent findings that the following factors make situations conductive to stress for nurses: work overload, staff shortages, lack of autonomy, equipment failures, conflict with physicians, conflict with administration or perceived lack of support from administration, lack of communication, ethical issues concerning patients on life support, high personal expectations for performance, and caring for high-acuity patients. Several factors have been examined as possible buffers to job stress experienced by nurses, including hardiness (Wright, Blache, Ralph, & Luterman, 1993) and social support (Cronin-Stubbs & Rooks, 1985). There is a fairly consistent finding in research reports that social support acts as a buffer to stress experienced by nurses in all settings. Consistent with previous findings, a critical review and meta-analysis of the research that focused on strategies to help nurses with work-related stress (Mc Vicar, 2003) found that “...work overload, leadership/management style, professional conflict and the emotional cost of caring have been the main sources of distress for many years...” (p. 633). Importantly, Mc Vicar also found that although there were common themes across studies, it is apparent that stress perceptions are subjective and individualized, making it difficult to generalize from one clinical area to another. Therefore, it is critical to examine the personal factors that influence the perception of stress. with confidence due to small sample sizes and methodological problems. 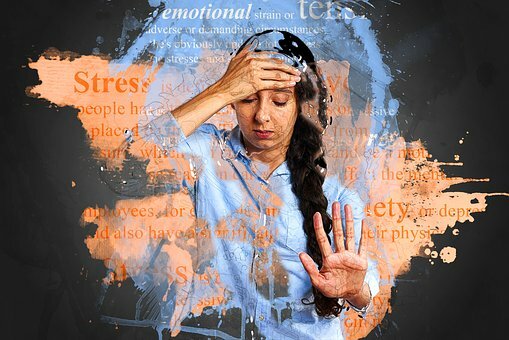 Given the growing shortage of nurses in the United States over the last decade, it is very surprising that the issue of work-related stress for nurses in the U.S. has not become a significant focus of nurse researchers. Future directions for nursing job stress research should include: (a) studies to evaluate the person-environment fit model (French, Rodgers, & Cobb, 1974) or the job demand model (Karasek &Theorell, 1990) to explain factors that contribute to job stress for nurses; (b) identification of personal factors that put a nurse at risk for job stress; (c) intervention studies to evaluate the effectiveness of stress management strategies, including cognitive restructuring to bolster resistance resources such as hardiness and use of social support; and (d) longitudinal studies to evaluate the effectiveness of stress prevention and stress management strategies taught to students in nursing by following them to job sites.